The Frisco 49 cocktail was created by Brandon Chandlor. It was inspired by a combination of those sweet little fruit cocktail cups from childhood and the French 75 cocktail. It is a delicious mix of pear gin, roasted peaches, and sparkling wine that can work for a variety of occasions, from special celebrations to a casual night at home. The finer points of the cocktail include infusing gin with two varieties of pear. Chandlor recommends Citadelle and says that in choosing a gin: "I did not want to add anything too dry such as a London Dry because you are adding dry sparkling wine." Sound advice and you will find that he made an excellent decision. There are many other uses for a great infusion like this as well and it may be one that you will want to make regularly. Beyond the gin, there is one more special ingredient in the Frisco 49. It is a homemade roasted honey peach syrup and it's quite easy. Simply roast cinnamon-covered peaches and blend them into a syrup. Again, another fantastic ingredient to have in the bar, particularly in those few months when pear and peach seasons overlap (the last few months of the year). Cut the pears into slices and place in a mason jar. Add gin to cover the pears. Allow to steep for one to three days (according to taste) in a cool, dark place. Strain out the pears and bottle the gin under a tight seal. It will retain the shelf life of normal gin. Preheat oven to 400 F. Cut the peaches in half and sprinkle with cinnamon. Add the roasted fruit, honey, and water to a food processor or blender and blend well. Strain well to remove any solids, bottle, and store in the refrigerator. The syrup will keep well for about two weeks. Combine the gin, lemon juice, and syrup in a cocktail shaker with ice cubes. 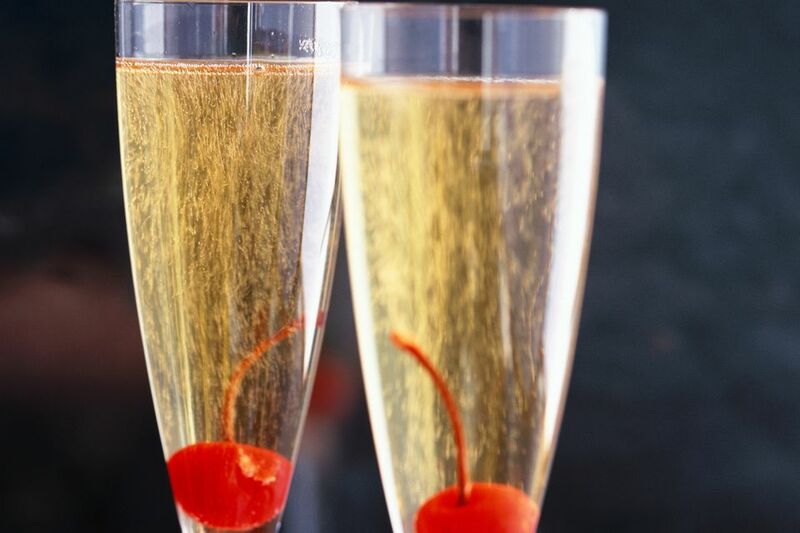 Top with sparkling wine and garnish with a maraschino cherry in the bottom of the glass. How Strong Is a Frisco 49? The Frisco 49 is a pleasantly light drink that's not much stronger than the average wine. When made with the 88-proof Citadelle Gin, it shakes up to just 17 percent ABV (34 proof).